Welcome to Chroma Lighting. Touch the light. Adolfo Guzzini of iGuzzini Illuminazione, has been awarded a Lifetime Achievement award by the Italian Design community; this award is a tremendous honour, Compasso D’Oro covers all aspect of industrial design, not simply lighting. iGuzzini iPro projectors illuminate the coloured glass brise soleil on the front facade of this new facility. Architecture by Kennedy Fitzgerald, building services by Williams & Shaw Consulting Engineers. One of Ireland's most important historical sites, Inniskilling Castle and museum now has a striking floodlighting scheme to reflect it's importance to the town in which it stands. iGuzzini Linealuce and iPro luminaires were used extensively throughout this careful design by Gillespie & Cummings who previously oversaw the Walled City floodlighting project which so successfully illuminated the City of Derry's historic walls. The DRD Roads Service chose iGuzzini Wow lanterns to illuminate this busy stretch of Knock Dual Carriageway, an arterial route in South Belfast. 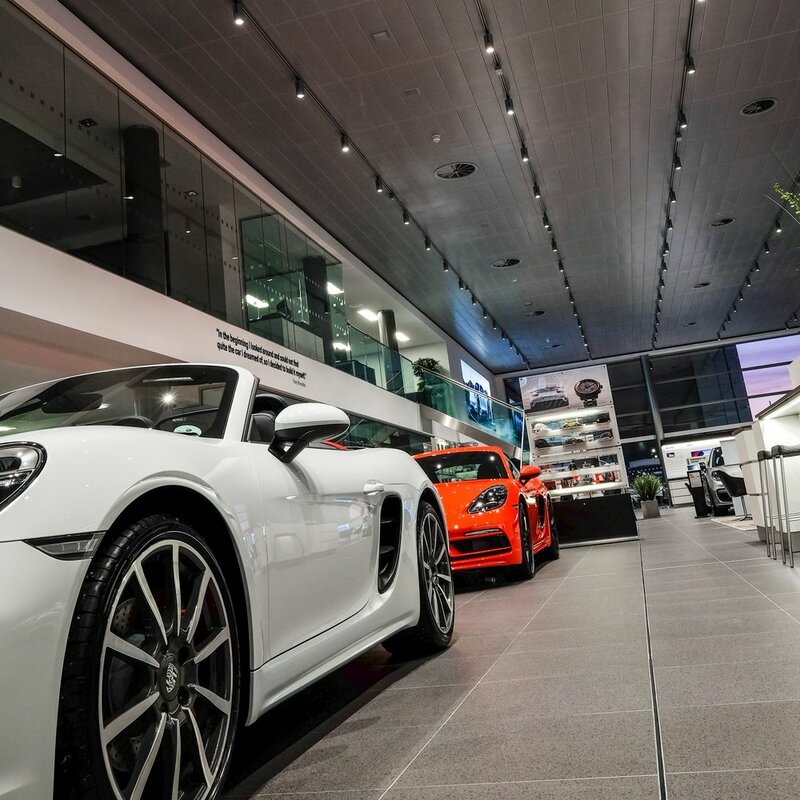 The Wow lanterns provide unmatched uniformity and colour rendering, and of course deliver enormous savings in running costs and reduced maintenance. 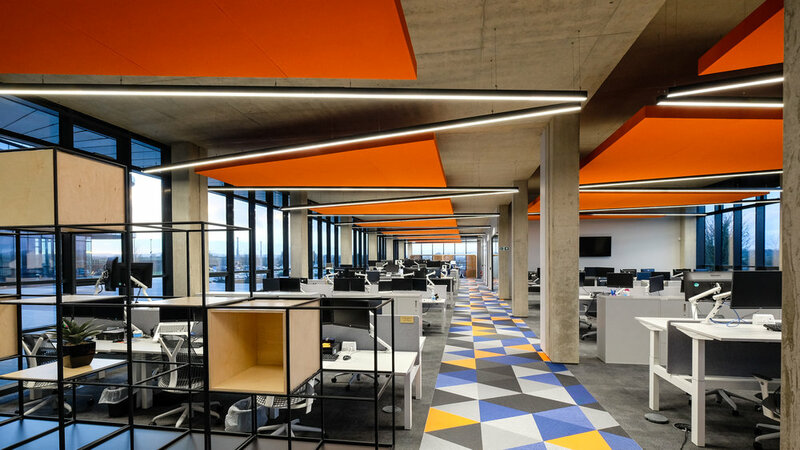 We worked with Teague and Sally Architects and Brill Interior Designers to produce a bespoke lighting design solution for the interior of this superb landmark office building. This striking building is an icon of Belfast's regeneration, by day and by night thanks to iGuzzini Linealuce uplights bringing out the patterns in the unique aluminium cladding. 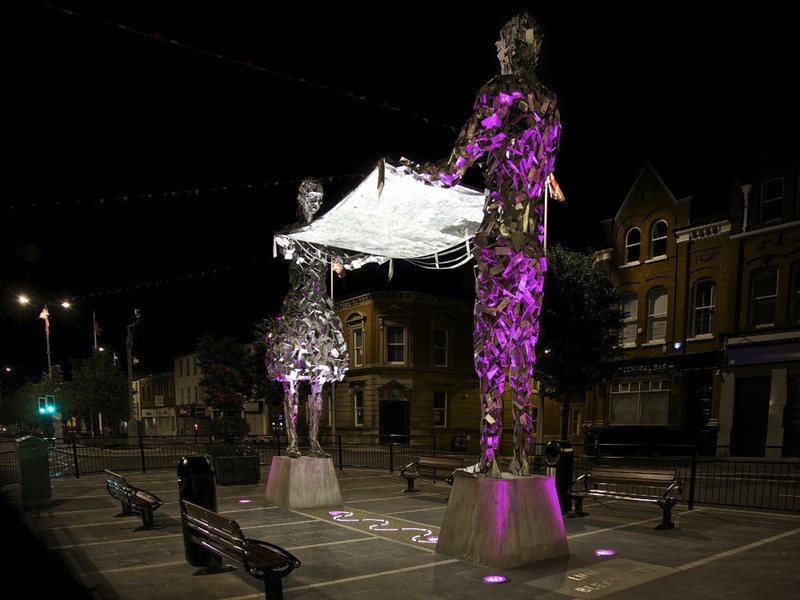 A sculpture in the centre of the main public plaza in the market town of Lurgan, Co. Armagh, the figures are illuminated by colour changing ground recessed uplights white the 'linen' sheet is illuminated in cool white. The landscape architecture was by Park Hood, Luminaires by iGuzzini. A Super-council needs a super chamber, and this exciting space designed by Todd Architects and Williams & Shaw Consulting Engineers certainly reflects the status of this newly formed council. 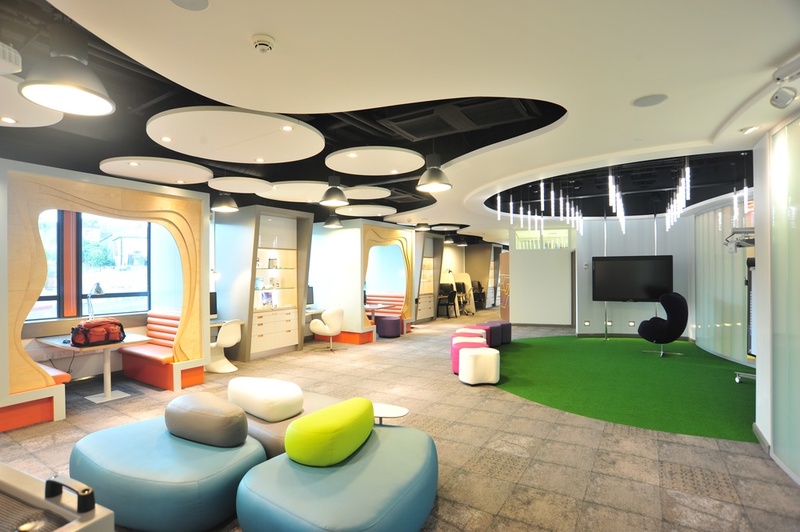 The focus of the space is a back-lit Barrisol ceiling with tuneable LED to mimic daylight. 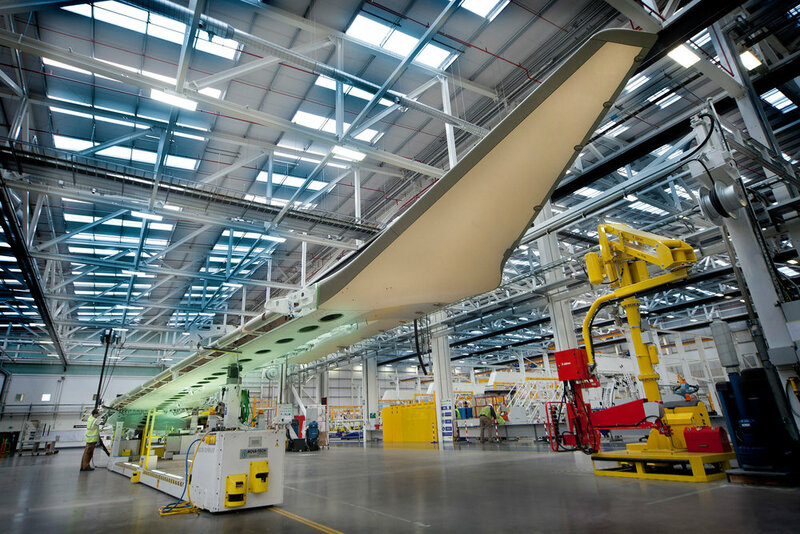 This is complemented by a bespoke suspended arc feature with brushed Anolok cladding, providing focused adjustable downlighting and wide uplighting. Finally, decorative pendants create focal illumination over the Mayor's desk. A sculpture adjacent to a busy traffic interchange in Portadown, Co. Armagh, the figures are illuminated by static white ground recessed uplights white the globe is washed with colour changing LEDs. The landscape architecture was by Park Hood, luminaires by iGuzzini. We brought iGuzzini's Light Experience container to Belfast, and placed it in the bottom of the Titanic Dry dock, where it was visited by more than 100 Architects, Engineers and Designers. One of Belfast's longest residents, HMS Caroline is the second oldest serving vessel in the Royal Navy (the first is some scrapyard canoe called HMS Victory). 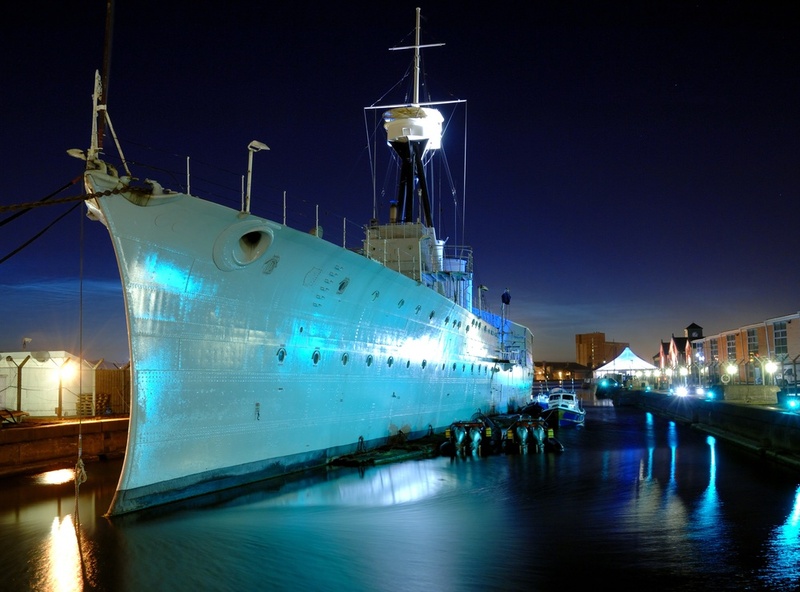 We floodlit the ship and it's surroundings as a backdrop the the Building and Design Awards taking place nearby. A development of a dramatic design by Patrick McCaul Consulting Engineers, building on several early projects led to this exciting interior featuring FrameWoody luminaires for up/downlighting suspended between the elegant, substantial, Glulam beams. Falls swim centre uses iGuzzini Light Air and LAMP fluorescent luminaires, along with MiniWoody spots for robust, efficient accent lighting. This dynamic space was brought to life by iGuzzini and Glamox pendants, and several bespoke Barrisol installations. This impressive backlit wall by respected sculptor Raphael Daden is composed of translucent resin panels cast from sand patterns found at low tide on the beach at Dundrum. With Fibre Optic FX we simply provided a mapped moving colour change back-light effect. 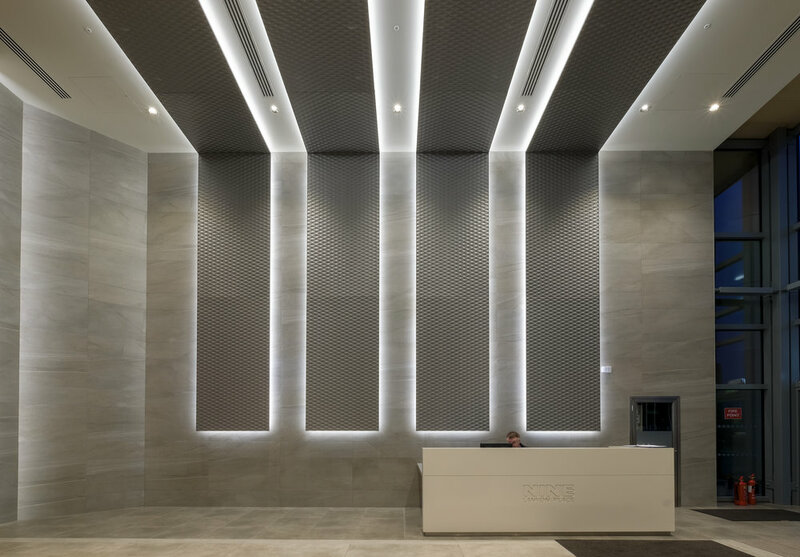 iGuzzini Front Light LED spots give depth to the 3form Ditto wall panel, while the Kundalini Clover pendants provide useful levels of general illuminance. A fantastic interior with amazing mosaic details everywhere you look, it was vital to ensure that it was lit with care and respect for the work that had gone into the art.